Today we will learn about the main parts of an engine or more appropriately an IC Engine. An internal combustion engine is a heat engine in which combustion (burning of fuel) takes place inside the cylinder of the engine. A high temperature and pressure force generate after burning of fuel. This pressure force is used to move the vehicle or rotate wheels by use of some mechanism. In an engine, many parts work together to achieve the goal of converting the chemical energy of fuel into mechanical energy. These parts are bolted together and the combination of all these parts is known as the engine. Today I am going to tell you about these parts and how they work so you can know the basic of an automobile engine. Cylinder is the main body of the IC engine. Cylinder is a part in which the intake of fuel, compression of fuel and burning of fuel take place. 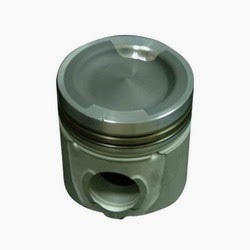 The main function of the cylinder is to guide the piston. It is in direct contact with the products of combustion so it must be cooled. For cooling of the cylinder, a water jacket (for liquid cooling used in most cars) or fin (for air cooling used in most of the bikes) are situated at the outer side of the cylinder. At the upper end of the cylinder, cylinder head and at the bottom end crankcase is bolted. The upper side of the cylinder consists of a combustion chamber where fuel burns. To handle all this pressure and temperature generated by combustion of fuel, cylinder material should have high compressive strength. So it is made by high grade cast iron. It is made by casting and usually cast in one piece. The top end of the engine cylinder is closed by means of a removable cylinder head. There are two holes or ports at the cylinder head, one for intake of fuel and other for exhaust. Both the intake and exhaust ports are closed by the two valves known as inlet and exhaust valve. The inlet valve, exhaust valve, spark plug, injector etc. are bolted on the cylinder head. The main function of the cylinder head is to seal the cylinder block and not to permit entry and exit of gases on cover head valve engine. 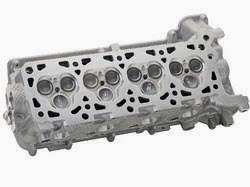 Cylinder head is usually made by cast iron or aluminum. It is made by casting or forging and usually in one piece. A piston is fitted to each cylinder as a face to receive gas pressure and transmit the thrust to the connecting rod. It is a prime mover in the engine. The main function of the piston is to give tight seal to the cylinder through bore and slide freely inside the cylinder. The piston should be light and sufficiently strong to handle gas pressure generated by combustion of fuel. 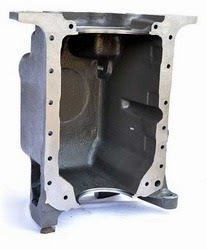 So the piston is made of aluminum alloy and sometimes it is made by cast iron because light alloy piston expands more than cast iron so they need more clearances to the bore. A piston must be a fairly loose fit in the cylinder so it can move freely inside the cylinder. If the piston is too tight fit, it would expand as it got hot and might stick tight in the cylinder and if it is too loose it would leak the vapor pressure. To provide a good sealing fit and less friction resistance between the piston and cylinder, pistons are equipped with piston rings. These rings are fitted in grooves which have been cut in the piston. They are split at one end so they can expand or slipped over the end of the piston. A small two-stroke engine has two piston rings to provide good sealing but a four-stroke engine has an extra ring which is known as oil ring. 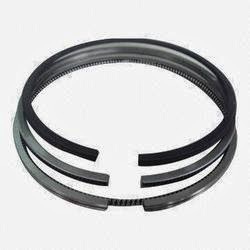 Piston rings are made of cast iron of fine grain and high elastic material which is not affected by the working heat. Sometimes it is made by alloy spring steel. 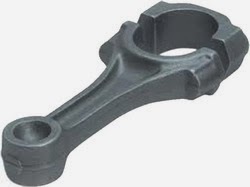 Connecting rod connects the piston to the crankshaft and transmits the motion and thrust of the piston to the crankshaft. It converts the reciprocating motion of the piston into rotary motion of the crankshaft. 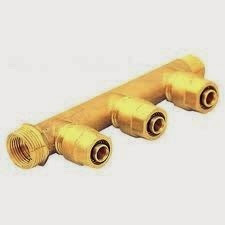 There is two end of connecting rod; one is known as the big end and other as small end. The big end is connected to the crankshaft and the small end is connected to the piston by use of piston pin. 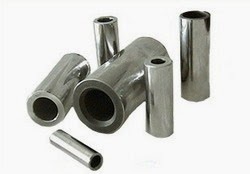 The connecting rods are made of nickel, chrome, and chrome vanadium steels. For small engines, the material may be aluminum. 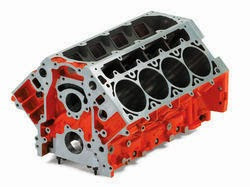 The crankshaft of an internal combustion engine receives the efforts or thrust supplied by the piston to the connecting rod and converts the reciprocating motion of the piston into rotary motion of the crankshaft. The crankshaft mounts in bearing so it can rotate freely. 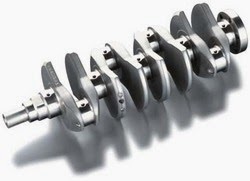 The shape and size of the crankshaft depend on the number and arrangement of cylinders. It is usually made by steel forging, but some makers use special types of cast-iron such as spheroidal graphitic or nickel alloy castings which are cheaper to produce and have a good service life. The main body of the engine at which the cylinder is attached and which contains the crankshaft and crankshaft bearing is called crankcase. It serves as the lubricating system too and sometimes it is called an oil sump. All the oil for lubrication is placed in it. 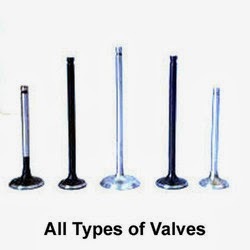 To control the inlet and exhaust of internal combustion engine, valves are used. The number of valves in an engine depends on the number of cylinders. Two valves are used for each cylinder one for inlet of air-fuel mixture inside the cylinder and other for exhaust of combustion gases. The valves are fitted in the port at the cylinder head by use of strong spring. This spring keep them closed. Both valves usually open inwards. It is used in spark ignition engine. 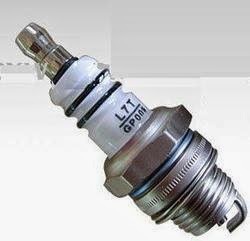 The main function of a spark plug is to conduct a high potential from the ignition system into the combustion chamber to ignite the compressed air-fuel mixture. It is fitted on the cylinder head. The spark plug consists of a metal shell having two electrodes which are insulated from each other with an air gap. When high potential current supply to spark plug it jumping from the supply electrode and produces the necessary spark. 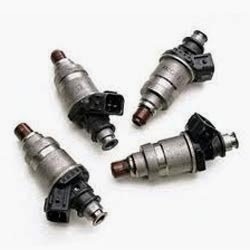 The injector is usually used in compression ignition engine. It sprays the fuel into the combustion chamber at the end of compression stroke. It is fitted on the cylinder head. The main function of the manifold is to supply the air-fuel mixture and collects the exhaust gases equally from all cylinder. In an internal combustion engine two manifold are used, one for intake and other for exhaust. They are usually made of aluminum alloy. 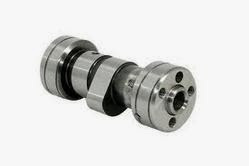 The camshaft is used in IC engine to control the opening and closing of valves at proper timing. For proper engine output inlet valve should open at the end of the exhaust stroke and closed at the end of the intake stroke. So to regulate its timing, a cam is used which is oval in shape and it exerts a pressure on the valve to open and release to close. It is driven by the timing belt which drives by the crankshaft. It is placed at the top or at the bottom of the cylinder. 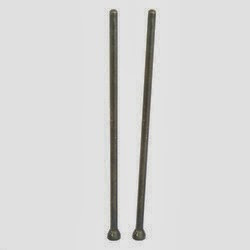 These are hardened steel parallel spindles fitted through the piston bosses and the small end bushes or eyes to allow the connecting rods to swivel. It connects the piston to connecting rod. It is made hollow for lightness. The pushrod is used when the camshaft is situated at the bottom end of the cylinder. It carries the camshaft motion to the valves which are situated at the cylinder head. A flywheel is secured on the crankshaft. 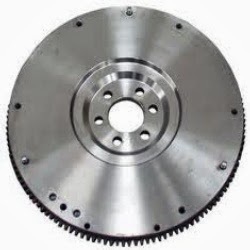 The main function of a flywheel is to rotate the shaft during the preparatory stroke. It also makes crankshaft rotation more uniform. This is all about main parts of an engine. If you have any query regarding this article ask by commenting. If you like this article, don’t forget to share it on the social network. Subscribe our website for more informative article.